Belvedere Care Centre has been thoughtfully designed with the physical environment appropriate to care requirements. Residents enjoy spacious, tastefully decorated private rooms in a safe, secure and caring community. 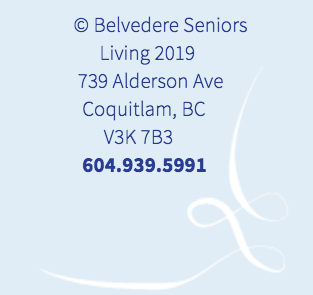 Call 604.939.5991 for more information or to book a tour.